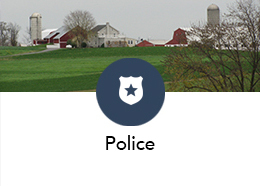 The East Lampeter Township Zoning Hearing Board is a quasi-judicial body appointed by the Board of Supervisors to make decisions related to certain zoning regulations, authorize special exceptions, interpret and adjudicate appeals of the Zoning Ordinance, and approve or reject variances from the provisions of the Zoning Ordinance. Rezoning requests and conditional use applications are heard before the Board of Supervisors, not the Zoning Hearing Board. The East Lampeter Township Zoning Hearing Board meets the second and fourth Thursday of each month when cases are submitted, except for the months of November and December. Hallgren, Crosswell & Kane, P.C. 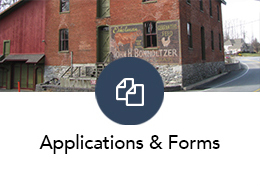 Q: What should be on the zoning hearing board application? A: The application needs to clearly state the case you are presenting, in a way that presents what you are proposing and also mentions specific sections of the zoning ordinance. A plot plan of the lot at issue should be provided showing all buildings, parking, water and sewer locations. Other information pertinent to the specific application should be provided. For instance, a home occupation request should include a floor plan, a request for a setback variance might need to provide distances from the lot line for the neighboring structures. While Township staff may provide guidance, it is up to the applicant to present a complete application. Q: What is the difference between a special exception and a variance? A: A special exception is neither special nor an exception. It is a listed permitted use that has conditions attached. A special exception request is required to appear before the zoning hearing board to ensure the listed conditions are met and there are no other impacts on the community. A variance, however, is a request to be exempt from some of the rules of the zoning ordinance due to a hardship. 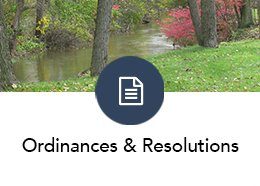 The Pennsylvania Municipalities Planning Code states six conditions that must all be met in order to be granted a variance. A summary of those conditions I there must be unique circumstances, no possibility the lot can be developed in conformance with the ordinance, the hardship has not been created by the applicant, the variance will not alter the character of the neighborhood, it is the minimum variance possible and the variance shall comply with the floodplain regulations. Q: Who should present a case? A: Some citizens present their own cases, while others have an attorney or engineer present their cases. Q: What happens before the hearing? A: Public notice is given by running a newspaper ad (twice) in the legal listing section of the Central Penn Business Journal, which is distributed on Fridays. A sign is placed in the yard of the property in question the week prior to the hearing and letters are sent to the applicant notifying them of the hearing date and time. A: Applicants, or their representative, are obligated to present the case to the Zoning Hearing Board. If a case is not presented the Zoning Hearing Board must either deny the request or continue the hearing. Once a presentation is completed, both the Zoning Hearing Board and the Township staff are entitled to ask questions. Any person seeking party status, affected by the application in some way, will also be entitled to ask questions. The general public will be allowed to make comment, but not question the applicant. Occasionally, the Township Board of Supervisors may express an opinion or request that conditions be imposed for a particular case. Once testimony is completed, the Zoning Hearing Board, while it will often make a verbal determination at that time, may take up to 45 days to provide a written decision. Q: What happens after the hearing if my case is denied? A: You may appeal the decision to the Court of Common Pleas. If you wish to appeal, you must do so within 30 days of the date of the written decision. Q: What happens after the hearing if my case is approved? A: Affected parties, such as neighbors or the Township, may appeal the decision of the Zoning Hearing Board to the Court of Common Please within 30 days after the date of the written decision. Additionally, there often are other approvals to be obtained prior to acting upon the approval received from the Zoning Hearing Board. 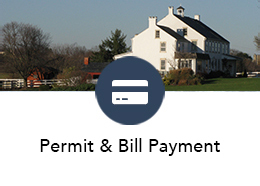 For example, land development or building permits may be needed.